The Same Way the Indefatigable Minister John Njoroge Michuki, a.k.a. Son of Marianna Wanjiku, Dealt with the Mungiki Menace So Must the Idiots at the Coast Be Handled: Ruthlessly and Mercilessly!! 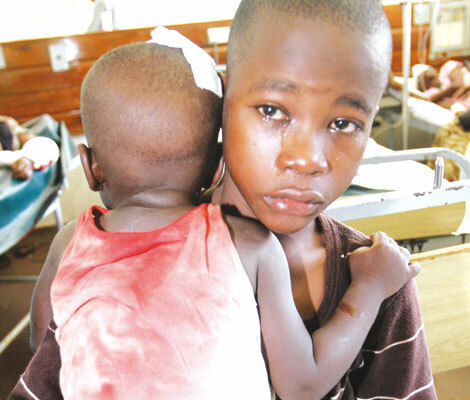 The Sunday gun attack in a church in Likoni left one a year old child Cetrine Osinya in a very disturbing state. Osinya has a bullet lodged in his head and is currently awaiting surgery to remove the bullet that has been lodged in his brain more than 48 hours after he was shot. He was shot in the head when attackers raided the church , killing his mother among other Sunday worshippers. Kenyans on Twitter (KOT) have now turned to the government to help save the babe with the hashtag #SaveBabyOsinya. Baby Osinya to will be flown to Nairobi by AMREF this morning after Neurosurgeon checked the CT scans and declared he was safe to fly. Kenyans have been so moved by the baby’s condition and turned to twitter to call for action. ‏@chriskirwa 10h Just called @AMREFFlyingDocs they r ready 2 fly #savebabyosinya 2 any hospital,meanwhile Osinya has been transferred 2 a private hospital. @arguskenya: Please let us help this Kid get the terror bullet out of the Brain please..#SaveBabyOsinya. @saetua_ruth 3m Dear lord hear our prayers and #SaveBabyOsinya. The sound of him calling for ‘mama’ broke my heart. 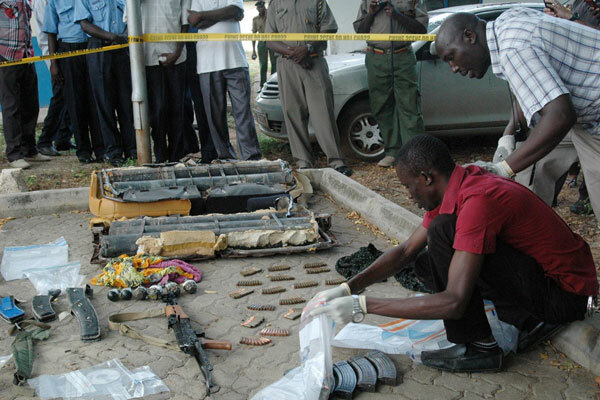 Mombasa explosives car: Could it have been the deadliest terrorist attacks in Kenya? There was shock in Mombasa on Tuesday evening following the discovery of a massive car bomb which anti-terror experts believe had been transported to the town to commit what would have turned out to be one among the deadliest terrorist attacks in Kenya. In-built Improvised Explosive Devices (IED) welded to the floor and back seat of the Toyota Hilux registration number KAN 410E left so many Kenyans in shock. Police found six grenades, an AK 47 assault rifle, 270 bullets; six cylindrical bombs weighing 10 kilogrammes each, 5 magazines, 6 detonators, a Nokia cell phone and 6 electronic cables and reports suggest that the occupants of the car were surveying targets in Mombasa for about a week after meeting their contacts in the coastal city. 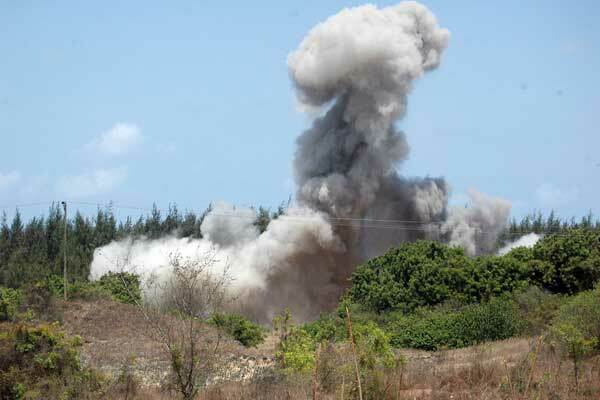 Yesterday, the Over 170kg of powerful TNT bombs were destroyed in a massive but controlled explosion in Mtwapa area of Kilifi County. Residents say the explosions were heard 20 kilometers away. Intelligence officials also believe Fuad Abubakar Manswab, a Kenyan fugitive from Mombasa who has links to the Yemen-based Al-Qaeda in the Arabian Peninsular, is behind the alleged terror plot. Fuad, is facing terrorism charges in absentia alongside Briton Jermaine Grant, is said to have fled to Somalia after jumping bail about two years ago. He is believed to be staying in Yemen or the Gedo region of Somalia. According to experts, the explosion was to be launched in a basement or crowded place by either radio waves generated by a cellphone found in the car or electric current from the car’s battery. The bomblets would then ignite secondary explosions and send pellets in all directions for maximum damage to human life. This comes amidst Police Inspector-General David Kimaiyo Tuesday’s admission that the Anti-Terrorism Police Unit was underfunded and that the lack of funding had not affected counter-terrorism work. How do we expect to fight terrorism of we cannot put up enough machinery to counter it? The country recently suffered one of its worst terror attacks, the westgate shopping mall and it is expected after that the government should have put enough measure to avoid any future attacks. When the IG admits to lack of funding in the anti-terror unit of the police the we have so many reasons to be worry about as a country. According to a September report by the US Congressional Research Service, Kenya is one of the top five global recipients of US State Department anti-terrorism funding. Last year, the US gave Kenya about Sh658 million for training and equipment. The British government has also contributed vehicles to the unit. What happened in Mombasa has caused so much panic not only in Mombasa but also in major towns in the country. Who know how many more explosives have entered the country? The government needs to treat this matter seriously and more investigations carried out to ensure safety in the country. TechTrends Ke for Kenyan Blog Awards 2014.